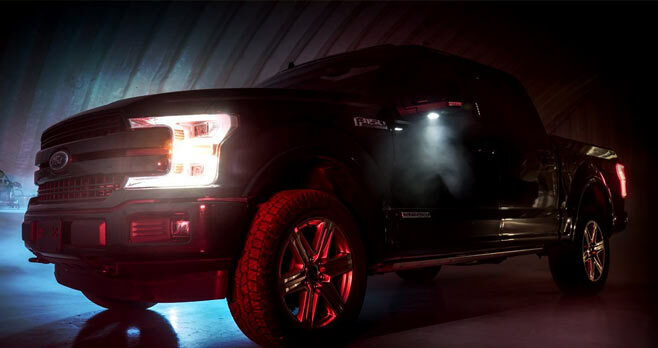 Enter the Voodoo Giveaway, the newest Diesel Brothers Truck Giveaway 2018, between August 31 and October 15 for your chance to drive home a 2018 Ford F-150 pickup truck valued at $85,000. Eligibility: The Diesel Brothers Voodoo Giveaway is open only to legal residents of the 50 United States and the District of Columbia and Canada (excluding Quebec) who are 18 years of age or older and located in the Territory at the time of entry. Promotion Period: The Sweepstakes begins at 12:00 noon MST on August 31, 2018 and ends at 11:59 p.m. MST on October 15, 2018. Limit: RECEIVE ONE ENTRY FOR EVERY $5 SPENT. Prize(s): The grand prize consists of one (used) 2018 Ford F150 Truck, color Black with a total ARV of $85,000 and a one-way trip for the winner to Salt Lake City, Utah to pick up the prize and meet the Diesel Power Crew.